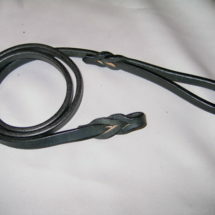 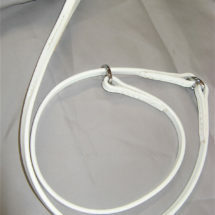 A Martingale made of finely finished English Bridle Leather. 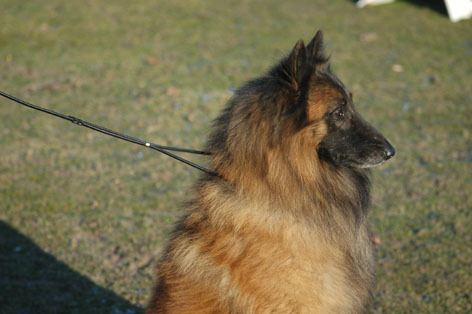 1/4″ x 5′ on the Lead. 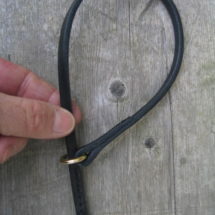 You can request a different length. 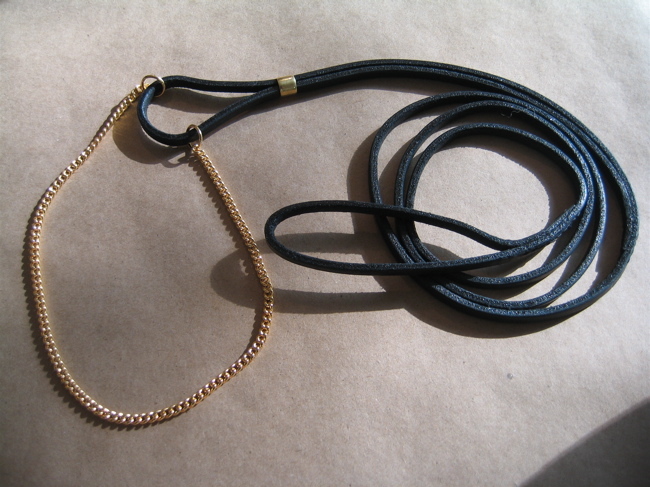 Comes with or with out a Chain throat piece.